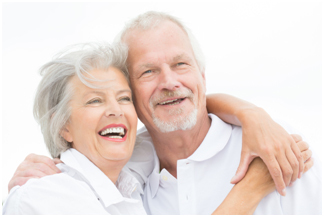 Dentures replace missing or lost natural teeth, we will provide you the information you require to determine what is right for you. We will focus on comfort, fit and appearance working with you every step of the way to recreate your natural smile. Flexible dentures are more comfortable and smaller, this denture uses advanced technology fits around the shape of existing teeth and gums in a comfortable and flexible way. They could be the perfect solution for an individual who has lost one or more of their natural teeth. This natural replacement of missing teeth can have a profound effect on the appearance and overall well-being of an individual. Metal dentures are usually smaller than plastic dentures and do not fully cover the roof of your mouth. They are custom made to fit each individual patient. They are very durable and less likely to break or bend in shape. Valplast Dentures are a brand of flexible dentures which like other flexible dentures are made from nylon. This type of material is ideal for use as a partial denture as it is unbreakable. The nylon thermoplastic denture allows the patient gum tissue colour to appear through the material. Acrylic dentures are plastic dentures and the cheapest and quickest dentures that can be made for missing teeth. They can be added easily and quickly.